Now you can have a custom designed BBC jersey! These jerseys feature M-Tec Extreme Fabric, a 3/4 length zipper and 3 back pockets. You can purchase here, or you can order via US Mail by clicking this: BBC Jersey Order Form to bring up the form in pdf format. Print and complete the form. Mail the completed form along with your check. Women's Race Fit (XS-XL) - Verge brand - Designed to fit close to the body without restricting movement. Fits slim and trim physique body contours. Has elastic gripper hems at the waist and arms. 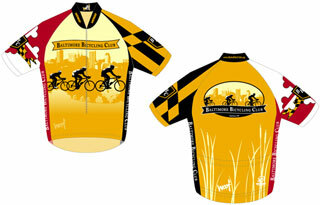 Jerseys are $70.00 each (includes Tax, Shipping & Handling).